1. 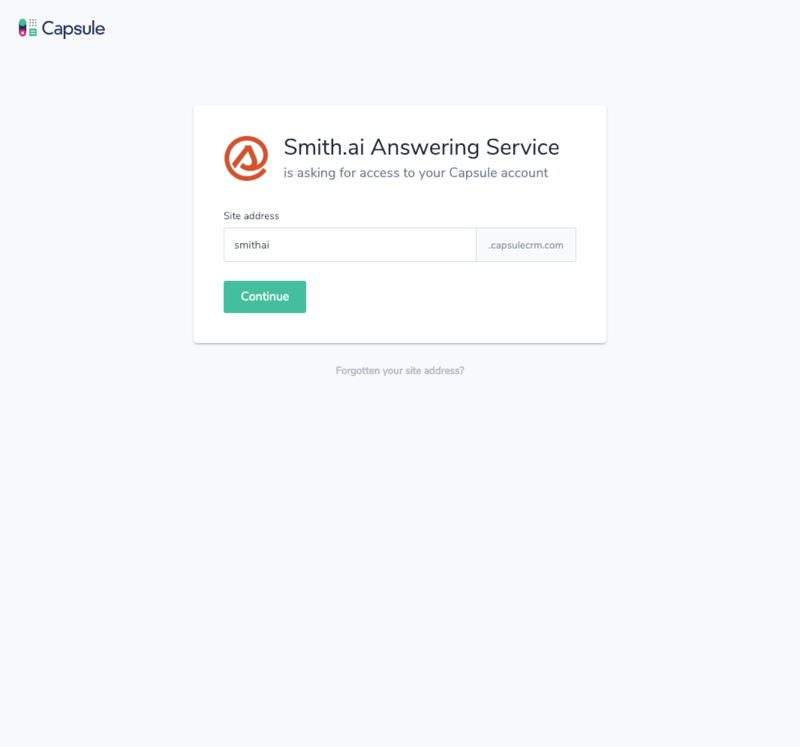 Email support@smith.ai with the subject line "Capsule CRM integration request." We will send you a link to authorize Smith.ai within your Capsule CRM account. 2. Open the link, and click "Continue." 3. Click "Allow" on the next screen to grant Smith.ai access to your account. 4. 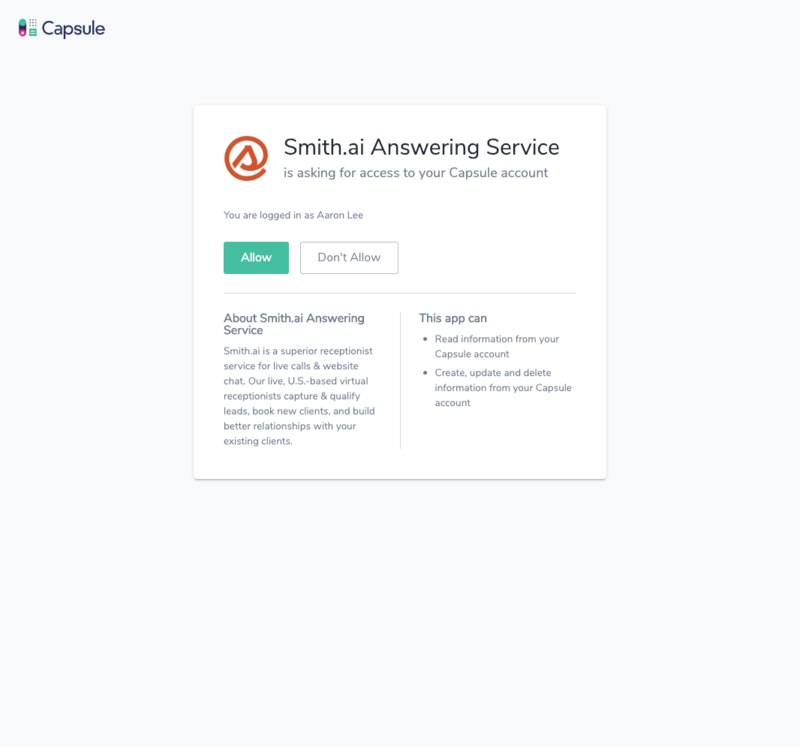 Email support@smith.ai again to notify us that you have approved access to your Capsule account. We will begin testing the integration and will contact you as soon as we have confirmed that the integration is working properly. Please note: CRM integration is an optional add-on service and will incur an extra fee. View current pricing for this and all other add-on services. 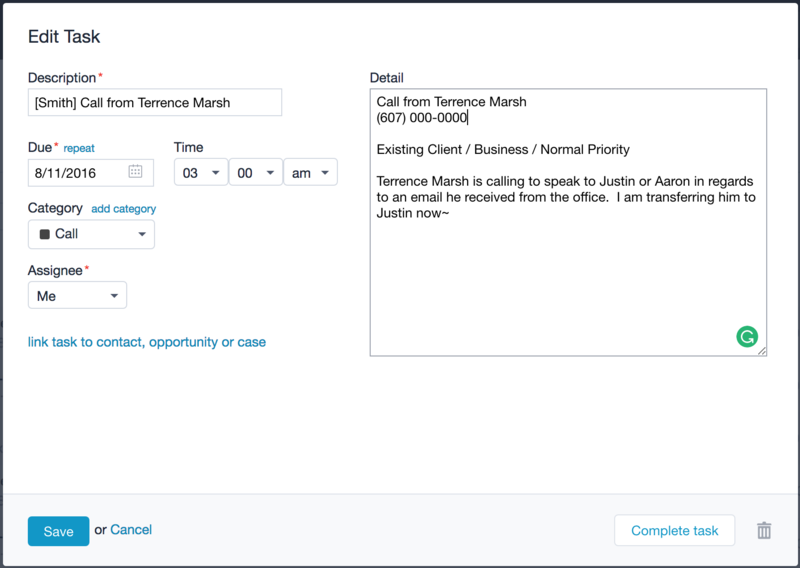 You can link that Task to a contact, opportunity, or case. Email us at support@smith.ai or call us at (650) 727-6484 Monday through Friday between 5am – 6pm PT so that we may assist you.